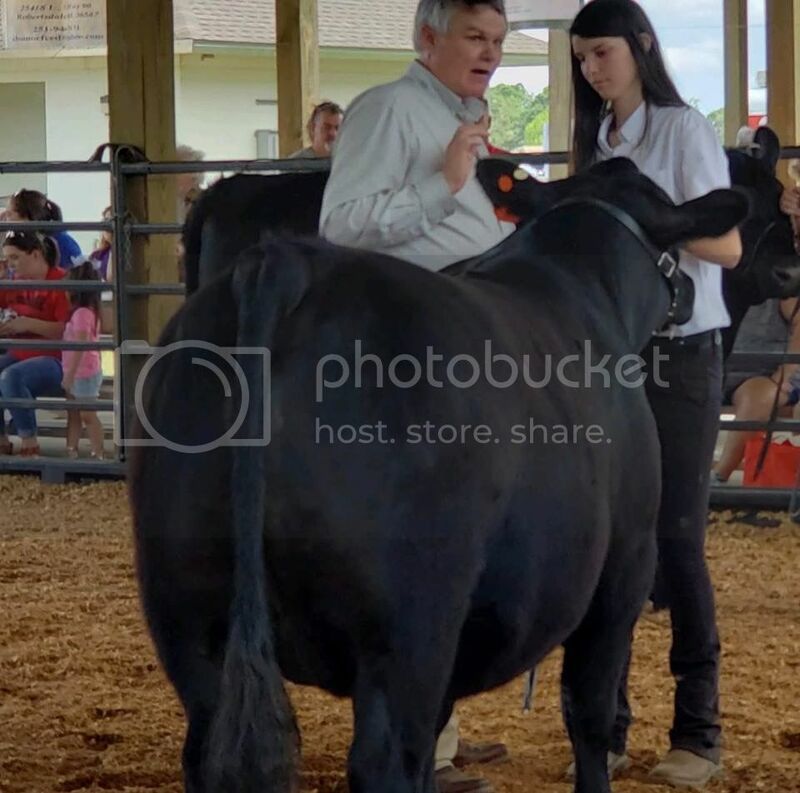 Our local steer show was today. I sure enjoy going and watching the kids, it is such a great learning experience for them. Jessica the young lady that keeps her steer at our place did a great job with her calf. She stood Reserve Grand Champion in a very competitive show. The calf is one we raised he is a Charlo son and the Charlo attitude definitely showed up with this calf. He has been a hand full, but she didn’t give up and the hard work put in at the barn paid off today. The calf that took grand was a powerful animal the judge got it right. Jessica wanted a photo of us together with her calf. I really like the calf a bunch, I think he looks pretty goo for a straight Angus calf. Fine looking calf regardless of breed. Congratulations. 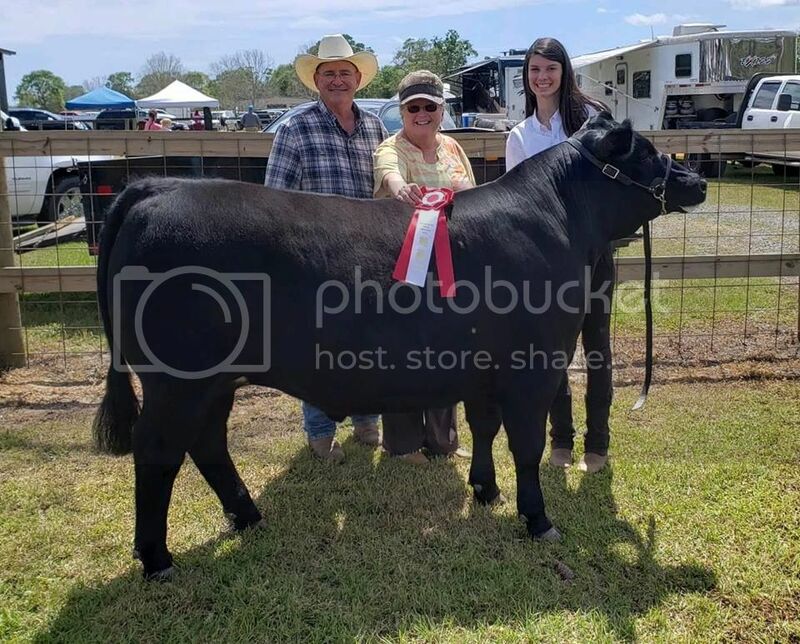 Gizmom is right the grand champion was a good rip.. Gizmom between the two of us we had the reserve grand champion drive covered at that show.. Congratulations on the reserve she did a good job with it. I honestly felt if he picked Bookers calf as grand (and felt pretty certain that would happen) he would follow with Gages calf as reserve, but was really pleasantly surprised with his pick. It was a very competitive show for sure. Your farm was well represented. The kids all did a great job and the best part was the community support at sale time! A really good day! Edited to add I think Gage had a really good calf but the top line was the difference in the final drive. Gages calf had that crappy topline, and was over done, imo. I felt like Ethan's calf (second in that class) was the better calf on that day. 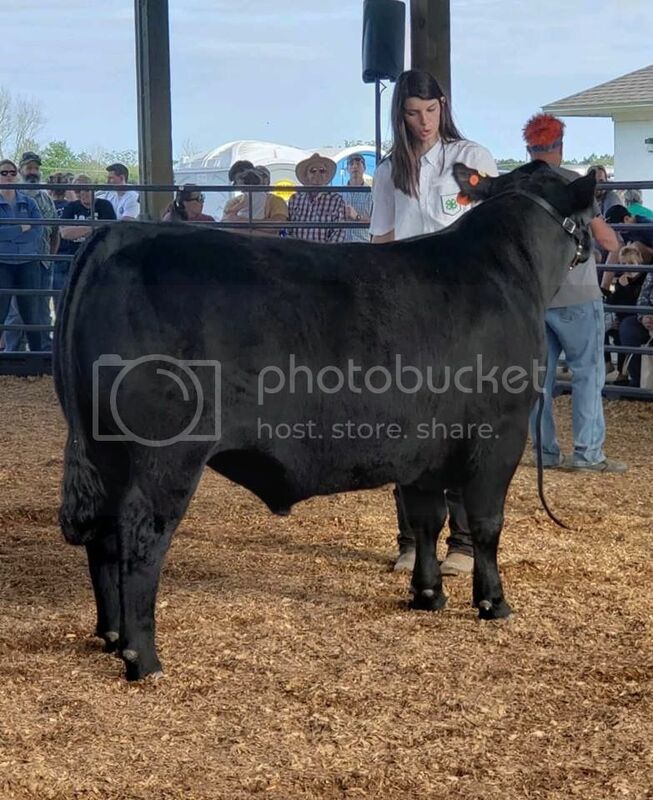 Gages was better on Feb 15.. As big as the big calf was (1560) I still liked him the best out of ours on show day..
That was a great sale, Steers sold well, hogs sold for really good money. Thanks to people like your and your family for supporting those kids financially. I re-read the old post last week & was wondering how you made out with your sponsor 4-h'er. Congrats. I must of been really tired last night when I posted didn’t realize I had misspelled the title until this morning....so more about the shoe or show lol. I had told Jessica a couple months ago that I couldn’t make the show because it conflicted with the annual Alabama BCIA meeting. 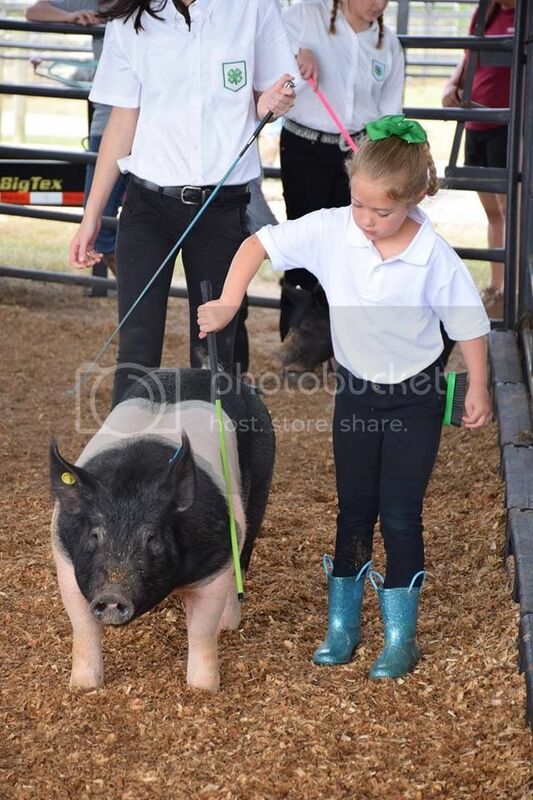 Then my granddaughter called she was so excited they were adding a piglet wiggly (pee wee showmanship) class in the show and she was going to get to show a pig! 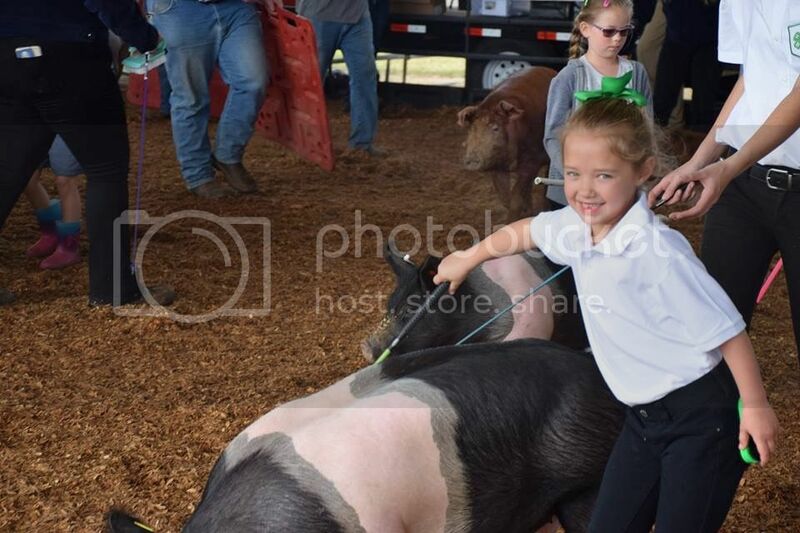 Well Sydney has dreamed of showing a pig since she attended her first spring show, her twin sister not so much but she was going to do it since they won’t let her show a heifer ( age). Unfortunately due to their birthdate they won’t be able to show until 2021. So I missed the BCIA meeting and went to the show. Her sister was glad she did it but still would rather be showing her heifer. She has the pink stick. Yep they have GG wrapped around their little pinky’s. So glad you didn't have to miss it!! Glad I didnt have to buy any chickens up there Saturday.. Whew big money.. Lots were over $100 for a pair of birds. Nice hogs, especially the last one! 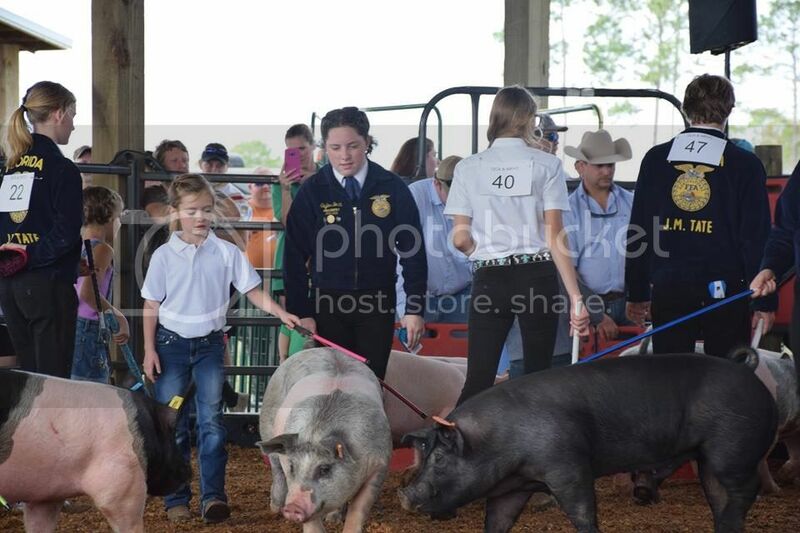 Thanks Sydney was in Hog Heaven getting to show it. The hog belonged to Jessica she won her class with it. It was a neat way to introduce the kids to showing. I sure appreciated all of the youth being willing to help the younger kids. Sydney is sure fired up over showing a hog. Love seeing this! How were the $ averages at the sale?